We were delighted to have a visit tonight from the 5th & 6th Dromore Scouts. 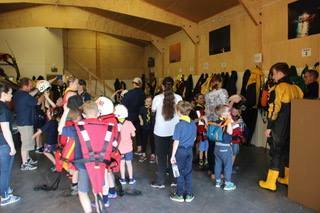 All the children really enjoyed having a look around our station, checking out our equipment and finding out what it all does. We hope you enjoyed your visit and are most welcome back any time.